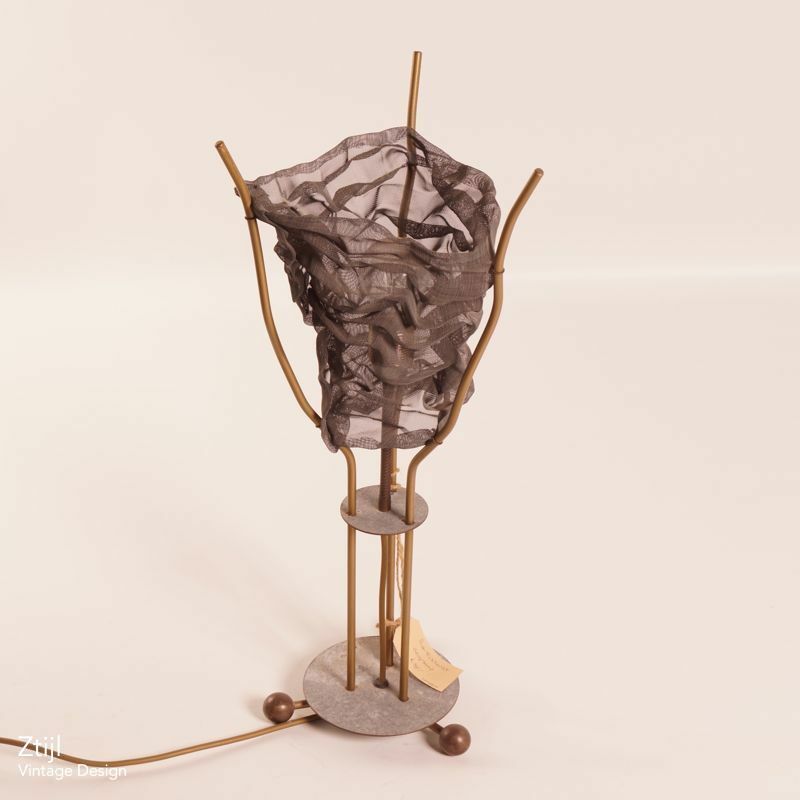 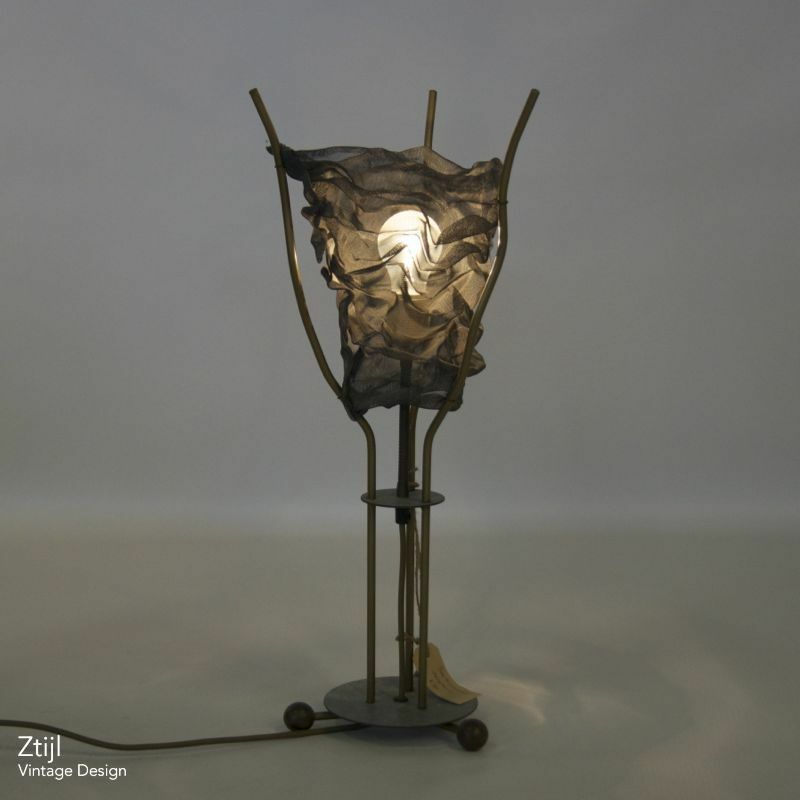 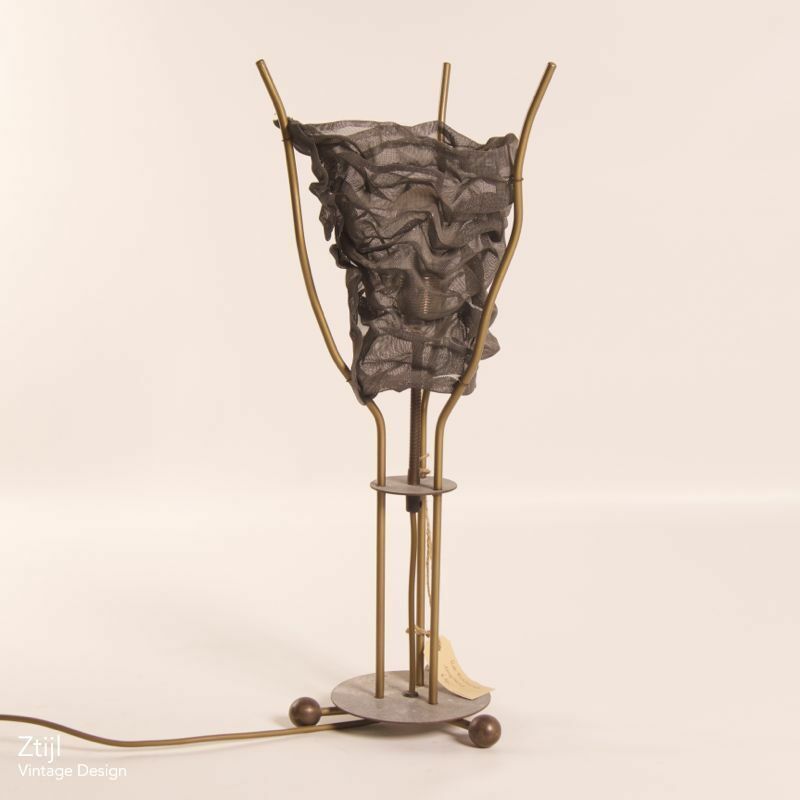 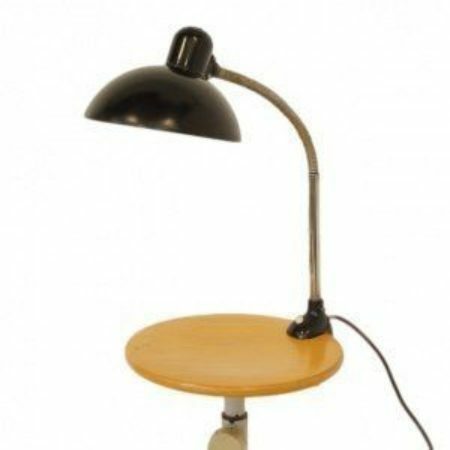 Rare artistic metal table lamp designed by Rob Eckhart in the 1980s. 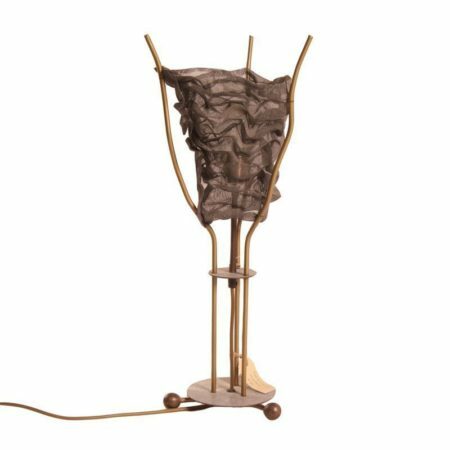 This lamp is entirely made of metal. 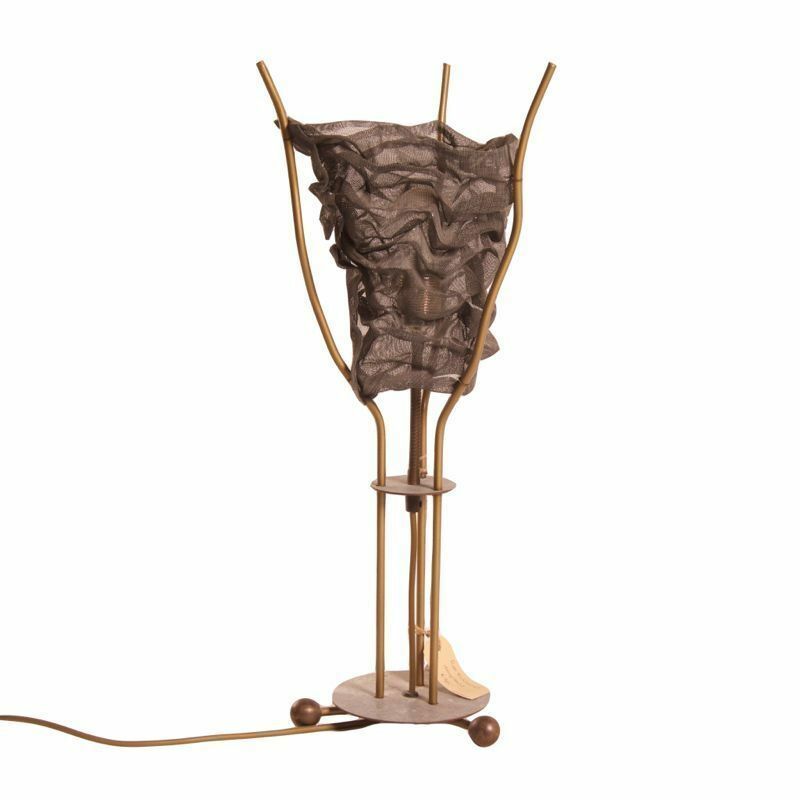 The shade is made of iron wire and gives a very special light effect when lit.